PackagedFINDINGS: RightRice® Takes Minimalism to the Second Power! 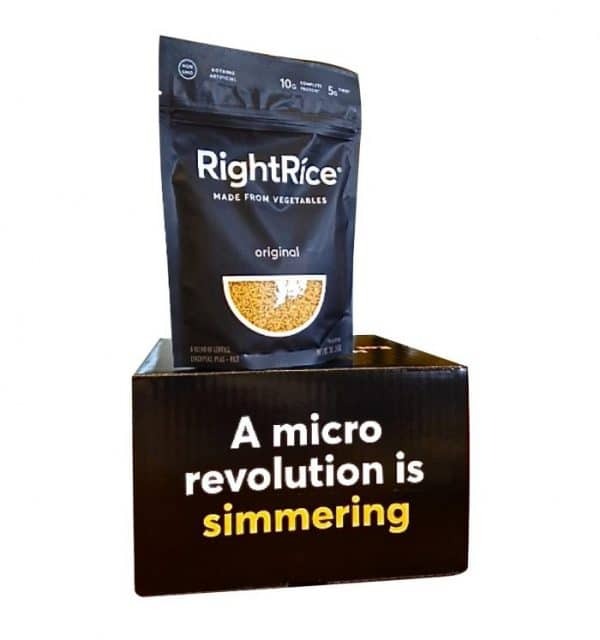 Several weeks ago, I wrote about how RightRice® achieved successful packaging with an absolutely minimalist design approach – a concept based on a solid black color field devoid of all extraneous decoration and finished with bold, direct branding reversing out of the solid black. In spite of (and because of) its extreme simplicity, the package design is highly effective in creating the impact needed to engage and attract the consumer. In total, this is one of the better examples of how you achieve maximum impact with minimal visual “noise”. And yet, there is more! 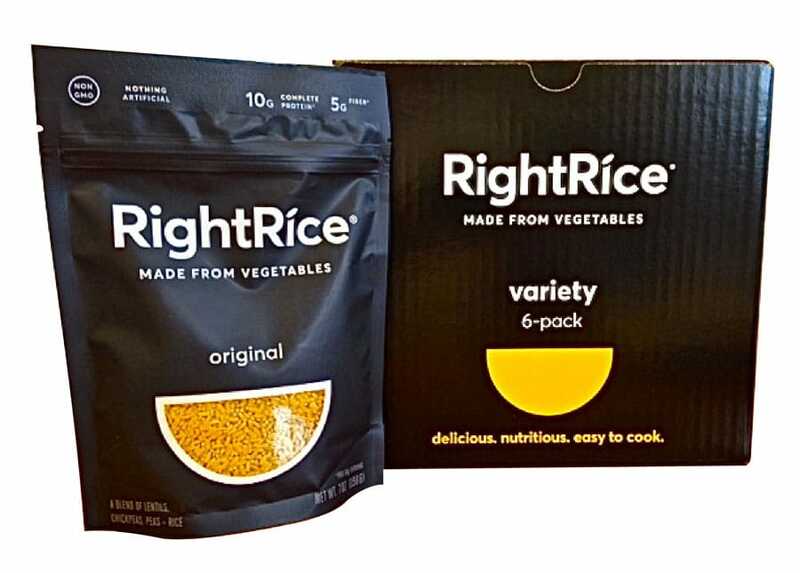 When I initially purchased RightRice I ordered a three-pack of one flavor available within the product line. When it arrived, the product was loose in the box, with no special protection other than the standard corrugated Amazon shipping protocol. More recently, however, a colleague ordered a six-pack of flavor varieties, which arrived in a neatly paired box replicating the RightRice package. This brings up an important and ongoing point that I believe marketers need to address, and that the RightRice team has been able to overcome. When you shop from any one of the large e-commerce providers, your first exposure is to their brand image, forcing your brand to be secondary to that of the provider. The RightRice packaging system is a great example of reclaiming its brand identity as it sets itself apart from the e-comm provider. The minute you opened the shipping box with Amazon emblazoned on it, you were presented with the high impact RightRice variety pack – bold, simple, visually impactful, and impossible to ignore. 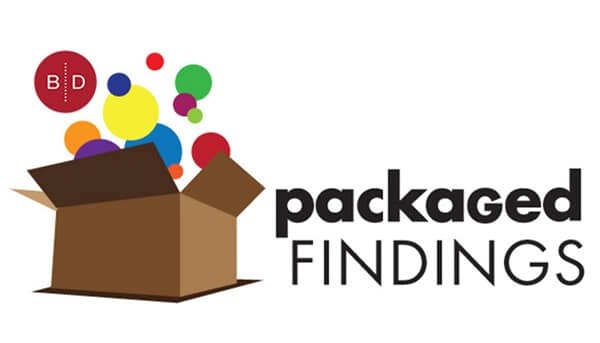 1) The almost ideal synchronization of brand standards across diverse packaging formats to uniformly reinforce brand image in the mind of the consumer. 2) The ability of creative and marketing teams to resist over covering package surfaces with copy and effusive design, choosing instead to embrace the elegance of simplicity and its ability to engage a consumer quickly and effectively. The consistency of brand and visual design systems should always work in tandem to effectively communicate with the consumer regardless of where or how they are merchandised. These package formats, grounded in a strong uniform hierarchy, rely on two principle visual elements that leave nothing to question or distract the consumer, and have the identity and strength required to communicate in any environment. If you need help with your brand’s visual design system, contact us at 920-886-7727 or info@brand-directions.com Throughout our 60 plus years of supporting customers with consumer brands large and small, we apply our experience and expertise to the entire process to create efficient and effective solutions.